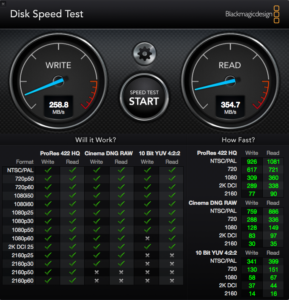 I just bought my 4th external USB3 SSD for my MacBookPro. I obviously don’t use all of them together, I just was just constructing my latest external Sockle storage bay. This time it’s a 1TB SSD and it’s a generation T5. 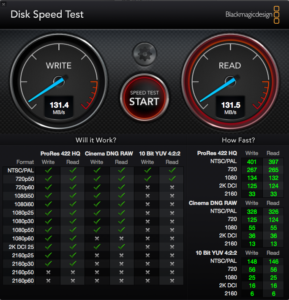 So this was a good moment to compare it to my previous T1 and T3 SSD drives. 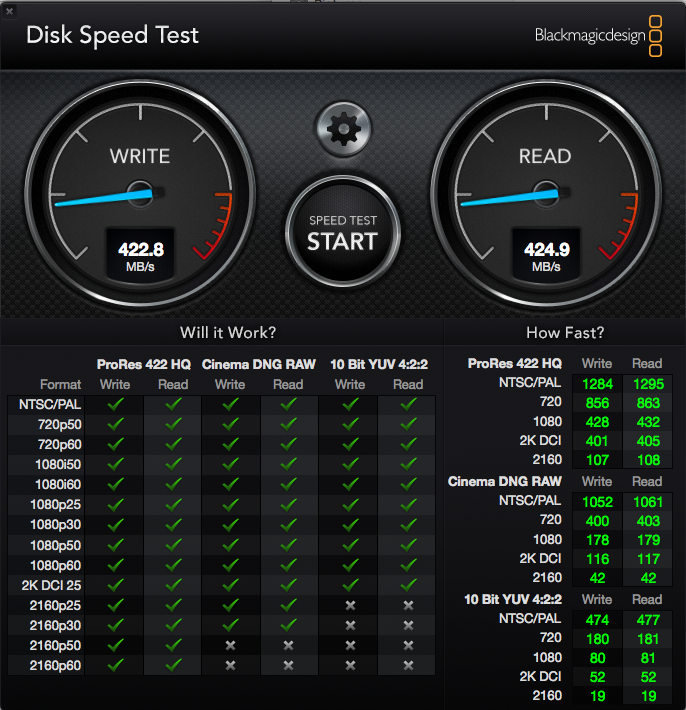 I use the Blackmagic Disk Speed Test app to get realistic read and write data transfer rates. I will round them off to the nearest multiple of 10MB/s. We will compare all the disks with the performance of the internal SSD disk, which has a SATA-III connection (not the slower USB 3 connection): 560 MB/s write – 720 MB/s read speed. 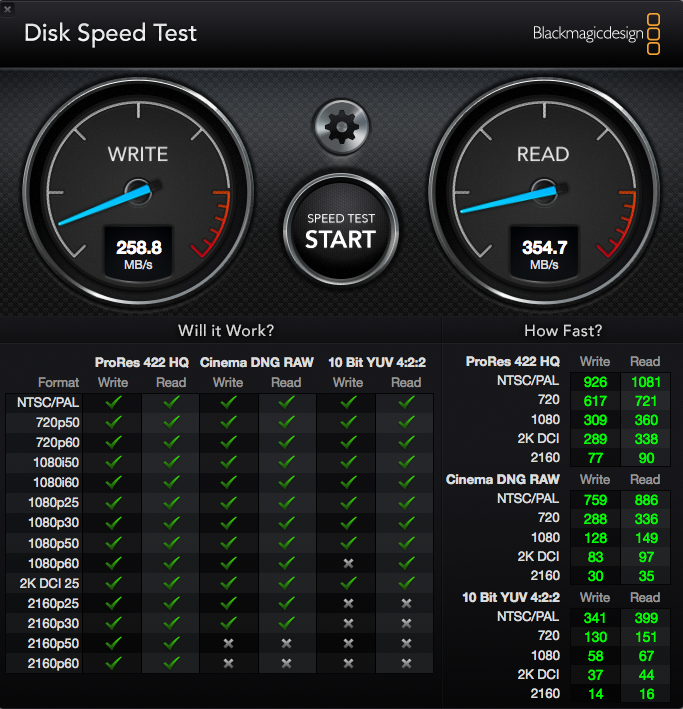 The T3 generation of SSD (I have 2 x 500GB ones) is a bit faster: 360 MB/s write and 400 MB/s read speed. 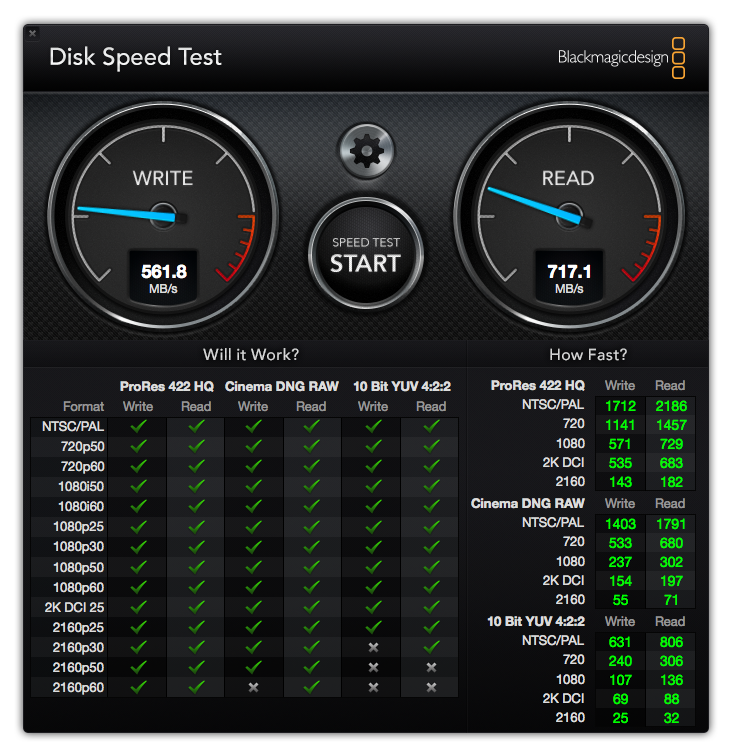 Just to get a feel of just how much better that is than the old ‘rotating magnetic’ disks: the speed of a brand new 2.5″ 1TB Lacie Porsche disk: 130 MB/s read and write speed. 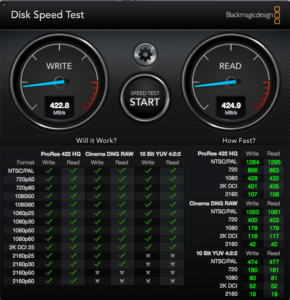 That is 1/3 of the speed of the Samsung T5 SSD, at about 1/4 of the cost (1TB: 100 euro vs 420 euro – Nov 2017).